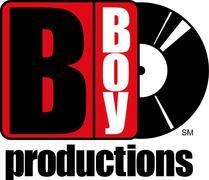 Home > San_Diego,_CA,_USA > Vendors > B-Boy_Productions,_Inc. They were wonderful. Hunter Dawson was our guitarist for the wedding. He was great and very professional. We then had Hunter Dawson and Dave Posey at our cocktails hour. Nothing better than acoustic guitar and bongos...they were wonderful. Duane was our DJ and he kept the party going. I told him the type of music I liked we liked and made a playlist that kept the party going!